Landlords in one town are offering up temporary help to displaced community members following the closure of a retirement residence. 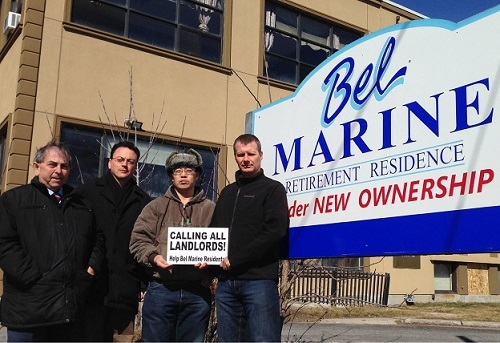 Landlords in Belleville, Ontario, are offering their homes to tenants of the recently vacated Bel Marine retirement home, following the building’s closure due to health and safety violations. “This is a tragic situation and we couldn’t just stand idly by and do nothing” said Quinte Region Landlords Association (QRLA) President Robert Gentile. The association has asked all local landlords with vacancies to temporarily house the displaced Bel Marine residents. “The hotel rooms are cramped and unsuitable for these individuals, many of whom are in wheel chairs, have disabilities, and require assistance from support workers” said association member Todd Theissen. “It’s very sad to see what these elderly folks are going through so we decided to try and help in some way,” QRLA member Steve Xu said. The association currently has 250 landlord members, and Gentile is hoping many of them will agree to help out. Get a head start on your summer investments. Subscribe now to get this year’s cottage country guide. Invest in your dream cottage country getaway while maximizing ROI. Find out how with the next issue of CREW. Be the first to know the top market gems to invest in for cash flow. Subscribe now to get this year’s cottage country guide.